The central government won’t sue the decision of Vilnius District Court in the case of spelling the name of the Lithuanian citizen who married a Belgian. 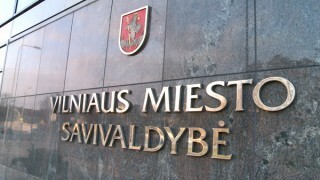 The Court ordered the registry office in Vilnius to issue a new marriage certificate where the ‘Pauwels’ surname will be spelled using the ‘w’, which is non-existent in the Lithuanian alphabet. The Mayor of Vilnius, Remigijus Šimašius stated that he ‘sees no reasons behind appealing to the Court’s decision’. ‘I can see no obstacles in carrying out the Court’s decision. To my mind, the respect towards citizens demands it (…) In similar cases, such as when a woman marries a man whose surname is spelled with Latin letters, which don’t exist in the Lithuanian alphabet, e.g. well-known ‘x’, ‘q’ and ‘w’ it is definitely a precedent and the registry office has to take it into consideration. Similarly in a situation when parents want to register their child whose father’s name is spelled with the terrifying letter ‘w’ – says the mayor of Vilnius, Remigijus Šimašius. The District Court of Vilnius in its statement from 30th July 2015 regarded as null and void the decision of the registry office and obliged it to change the name of a Lithuanian citizen who married a Belgian. In the marriage certificate issued by the registry office, the name of the husband was spelled accordingly to the original: Pauwels, whereas the name of the wife – Pauvels. The couple, supported by lawyers from the European Foundation of Human Rights, applied to Court and won the ‘w’ case. The central government won’t sue the Court’s decision and that means the registry office in Vilnius will have to issue a new marriage certificate for Mr and Mrs Pauvels.